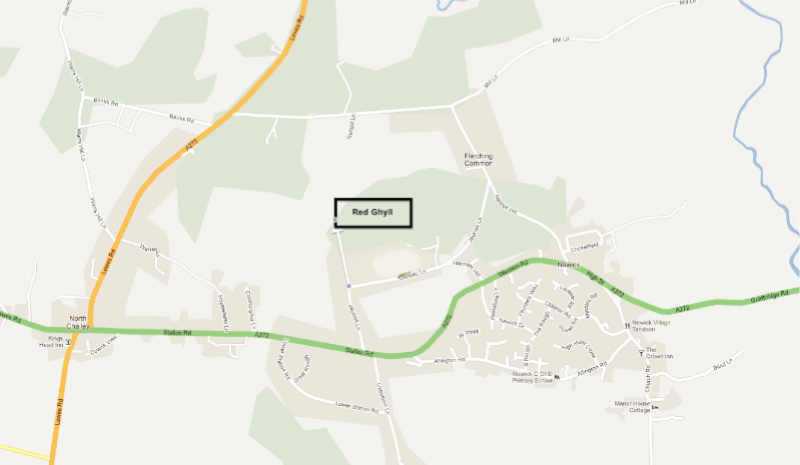 Red Ghyll is ideally placed between Haywards Heath to the west and Uckfield to the east. Six miles to the south is the historic town of Lewes, and just ten miles away lies the city of Brighton and Hove. 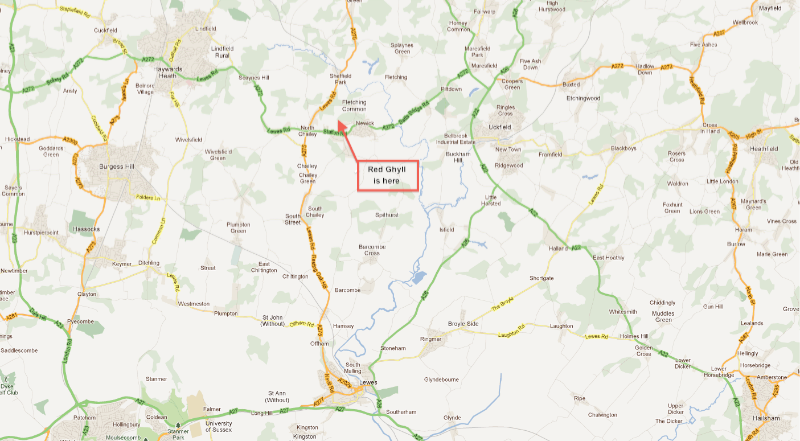 Red Ghyll is located minutes off the A272, just to the west of Newick. Once you've found your way to Jackie's Lane, drive until the road takes a sharp right hand turn and you see an unmade road straight ahead, with a "Red Ghyll" sign at the base of the hedge. Drive down through the trees and we are the only house at the bottom. Click here to download the detailed map.